Woohooligan! Mad Cow Gives You Lasers! 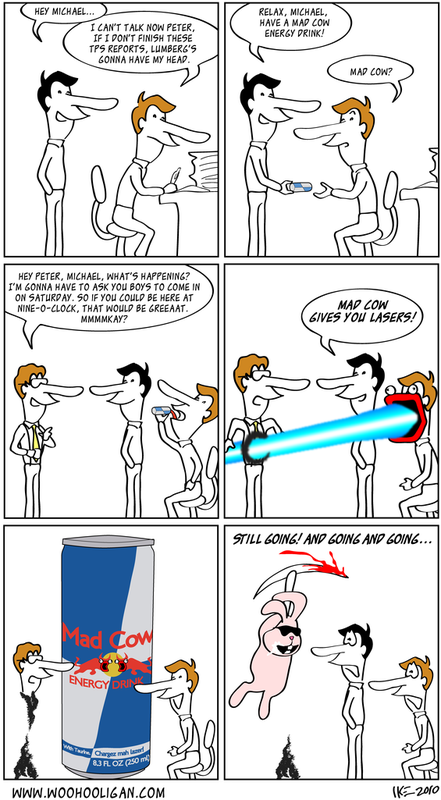 Mad Cow Gives You Lasers! Nice absurdist callback to My Scythe-Bunny!